Kanatal is a small village located 78 Km ahead of the beautiful city, Dehradun in Uttarakhand. It is named after a lake, Kanatal, which used to be there. 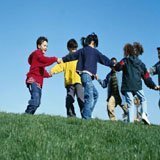 The region is surrounded with majestic hills as well as some famous hill stations like Mussoorie, Chamba and many others. Kanatal travel guide includes all the information regarding sightseeing and adventurous activities around this appealing place. This region is not so crowded and offers great peace of mind to the tourists who chose to come here. 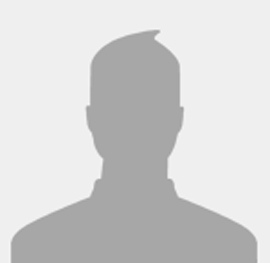 In actual there are 15 hotels in Kanatal reviewed by the travellers. 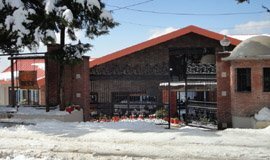 The most popular Kanatal hotels are Camp Kanatal, Apple Orchard Resort, Kanatal Hermitage Resorts, Hotel Reindeer Resort,Hotel Amoeba 180 Degree Resort. 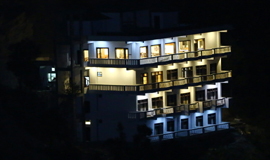 The lowest available tariff for Kanatal hotel deals are available at Rs.800. 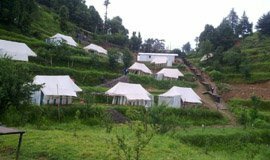 You can search for Kanatal Resorts (3) Kanatal Hotel (8) Kanatal Self-catering/Villa/Cottage (3) Kanatal Tent/Camp/Caravan (2) Kanatal Home Stay (2) Kanatal Guest house/Hostel/Lodge (4) Kanatal Boutique hotel (1). 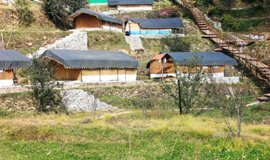 There are wide range of hotels in Kanatal for families,groups,kids,friend,nature lover,for weekend break and mainly for honeymoon couples,as Kanatal is considered one of the best honeymoon destination of Uttarakhand. 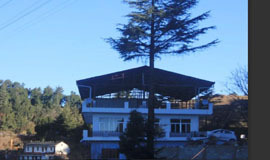 There are many Hotels located in Kanatal city offering great discounts and pretty good facilties. 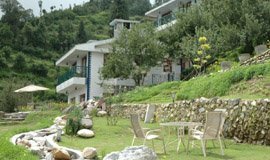 Some of the Hotels are located at such height from where the guest can admire the magnificent views of the surroundings and the beautiful Kanatal Lake. 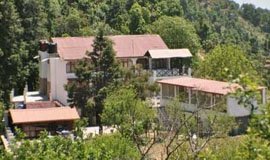 Here is the complete list of Top 15 Hotels in Kanatal, offering good facilities and discount Upto 70%. "This resort is in the midst of nature with excellent facilities. 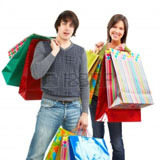 It is reasonably priced with an ever-smiling staff, always ready to deliver. The rooms are comfortable, neat and clean." "Stayed at Camp Kanatal. Very nice weather, secluded place, away from the village. Reaching there is a challenge but not impossible. 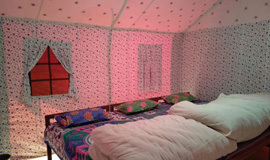 Tents are nice and Western washrooms are attached. " "Enjoyed alot at Kanatal Musoorie dhanaulti trip.. Hospitality was awesome.... Awsome food.. Thank you Hill View Camp...... "
"Beautiful location. Peacefully. Nice view. Great service. Really enjoyed food and location. Beautiful tracks near by. Nice and helpful staff. Fully privacy. Front beautiful himalaya view. Thanks for overall"
"Good property, great location. Maintenance was average...an abode of peace and luxury, away from the crowded cities and equipped with luxury services"
"My parents had a great experience. They loved the food and the hospitality. They enjoyed the fruits in the orchards and also interacting with local people there. away from the crowded cities and equipped with luxury services"
"Nice location..rooms bit smaller n congested.. good hotel services.. Maintenance was nice"
"Went their with my team for corporate offsite. Everything was provided as committed .food was good .cottages are good . But the wow factor was overall ambiance nd hospitality shown by entire staff. " "I have visited this camp in April-18, the views were extremely amazing with wind blowing us away with a beautiful mountain views. best for sunset and sunrise.Its very cold at night even in the summer. Food quality was awesome as well as hospitality." 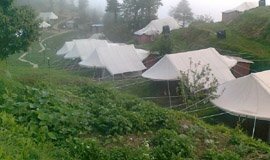 "The camp is located roadside and its back side is covered with dense Deodar trees. Tents are tin covered with actual Tents and inside of the tin covered with white or printed cloth..."
"I visited camp little jaguar earlier this month. I must admit that this camp is way better than the other camps around because of its location and view. Kanatal is such a beautiful and untouched hill station away from all the chaos." "Had a great stay . 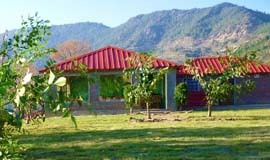 The location and the surrounding greenery with clear views of the hills scores the highest. Helpful staff. Walking tracks and a lovely old quaint temple were specially charming"
"Perfect Location, perfect for peace lovers, relaxing ambiance, Good Food, modern facilities, Nice walking track just opposite the Hotel. They have a beautiful check-in. Rooms are big and spacious and comfortable. The bar is good at the resort." 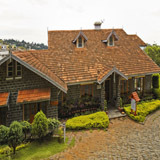 "Had a lovely stay, comfortable rooms and good amenities. 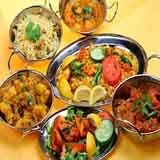 Friendly staff, good service.Would have liked brighter lighting in the room...."
"Very well appointed rooms, excellent Indian and Italian food, some indoor games and suchlike, very good trails nearby, and very friendly staff. An ideal place to unwind for a couple of days. " "The place is nicely tucked away from the touristy spots, the locals who manage the place are downright humble welcoming and ready to make the most of your stay..."
"The hotel is comfortable and cozy. Rooms are basic but warm, restaurant food is limited in spread but tastes good. Front balcony offer spectacular views of the valley." "This home Stay located at kanatal.main city. This is situated at road side of Chamba Mussorie Highway . This is and good property with excellent view of Hills. " "Very adventurous place...Lots of things to do...Many places to visit nearby... Luxurious rooms with good food and service...Staff are very nice, cooperative, friendly, understanding..Rooms have very nice valley view"
"It was a wonderful experience to stay at Pahadi House. Peaceful village, awesome environment surrounded by apple orchard..."
First time i visit the Himalayan roots in august and it was great experience, the place kanatal which is situated in uttarakhand near chamba district was very beautiful, climate is very pleasant and clouds are always up to your head and the kodia Forrest trek was mesmerizing..
Nice place i went with my family its nice place The management is very good and perfect i love it and nice and clean place good service the weather is very nice and my family also enjoy a lot. This is a kind of place to getaway from heat and traffic in the mid of summers especially if the camps and the camping sites are good. 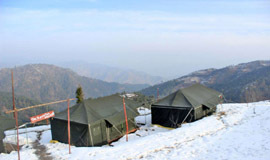 This camp is located at its best place where you can see the himalayas just sitting on a chair with having tea and snacks. 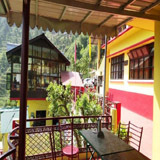 Exploring the Kanatal Kodia Jungle Famous Surkanda Devi Temple entitle Allseasonsz.com with the luxurious ,deluxe ,budgeted Kanatal hotels Resort with homely touch. Kanatal is a hill station where one feels a feeling of placidness. One won't locate any clamoring shopping centers, individuals rushing for work, commercialization and pulverization of common magnificence here. 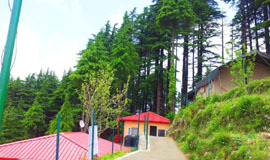 Kanatal demonstrates to us why Robert Frost composed such a large number of poems about nature.Hotels in Kanatal provide best accommodation services and facilities. Through allseasonsz.com you can book good Kanatal hotels online in advance,available in budget rates and prices.Use the links in the list below to choose the accommodation of your choice. Kanatal is a city in Uttarakhand, 78 km in front of Dehradun (Capital of State Uttarakhand), 38 km in front of Mussoorie which is otherwise called the Queen of Hills and 12 km from Chamba. Kanatal is a villa worked around various slopes, an area which exemplifies the sentimental atmosphere of Tehri District, Uttarakhand, State. Situated on the Chamba-Mussoorie parkway. Kanatal is a hill station where one feels a feeling of placidness. One won't locate any clamoring shopping centers, individuals rushing for work, commercialization and devastation of characteristic excellence here.Kanatal at an elevation of 2590 meters above sea level, has a couple of lodgings, which offer the fabulous perspective of the great snow secured slopes like Trishul, Chaukhamba and Bandarpuch. 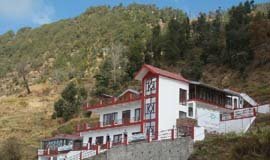 A portion of the premium stay alternatives in Kanatal incorporate Kanatal Resort and Spa and The Terraces, Budget lodging incorporates The Hermitage and Lavasta. A few camps like Camp carnival. 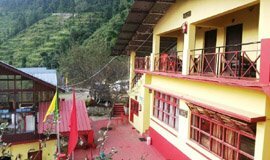 Among the 12 hotel in Kanatal the most popular one are Camp Kanatal, Apple Orchard Resort, Kanatal Hermitage Resorts, Hotel Reindeer Resort,Hotel Amoeba 180 Degree Resort. 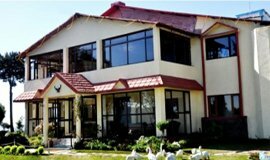 There are 7 Luxury hotels in Kanatal which are priced above Rs. 4000. Tariff for Kanatal hotels starts from 2000 and goes to 10000,charged by Kanatal luxury hotels it can also hike in summer season. Luxury hotels in Kanatal include premium amenities like sauna, massage services,bathtubs, jacuzzi, swimming pool,restaurant, Wi-Fi, dry cleaning services, valet parking, fitness centre or gym, bar/lounge, banquet hall and conference rooms for business meetings. 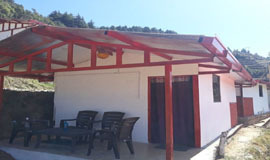 There are few Budget hotels in Kanatal which are priced below Rs. 3500. Tariff for hotels in Kanatal starts from 800. 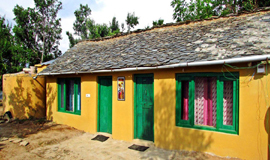 Cheap hotels in Kanatal may provide basic amenities like a colour TV, Telephone, AC, private bedroom, 24-hour front desk,security and housekeeping staff on call. These hotels are affordable and value for money. The town of Kanatal is situated in the Indian state of Uttarakhand. This town is situated in an exceptionally beautiful setting encompassing by mountains and streams, with stunning perspectives and landscape. You can travel to Kanatal in case you're searching for a goal that is not invaded with voyagers and is quiet and unexplored. This is fundamentally on the grounds that the town of Kanatal lies close to Mussoorie, which is a well known traveler hotspot. Visitors fundamentally rush to Mussoorie, and the town of Kanatal is for the most part left untouched. 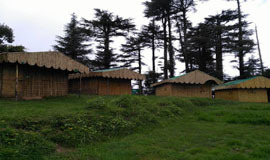 Kanatal serves primarily as a weekend getaway for the neighborhood masses. It is situated at an elevation of 2600 kilometers from Mussoorie. There are numerous spots that you can visit during your outing to Kanatal, and the Surkhanda sanctuary is the most well known religious goal. You can likewise go out for a stroll through Kodia Jungle, which is a thick backwoods region situated at a separation of around one kilometer far from Kanatal. You can recognize a couple of wild creatures by taking a ride through the wilderness in a jeep, and you can likewise see numerous common springs that are very predominant in the district. 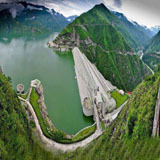 The Tehri dam in the district is likewise an absolute must see destination in Kanatal. Tourists visiting Kanatal can also plan a trip to Dhanaulti, which is approximately 17.6 km away. This hill station is home to a number of attractions, including Surkhanda Devi Temple,Eco Park, Potato Farm, Camp Thangdhar. Apart from visiting Dhanaulti travellers can pay a visit to Mussoorie, which is also known as "Queen Of Hills. The town of Kanatal encounters calm conditions, and the fundamental seasons incorporate summer, winter and storm. You can visit the town of Kanatal relying upon your preference, as the late spring months will be perfect for touring purposes and the winter months will be perfect for enjoying exercises like experience games or skiing. Summers in the town of Kanatal stretch out during that time of April, May and June. These months will encounter a most extreme temperature of around twenty five degrees (25°C) and a base temperature of around ten degrees (10°C). You ought to convey some mellow winter dressing alongside you amid the mid year as the temperatures may drop amid evening time. July and August are the rainstorm months in Kanatal.The winter season ranges from the month of October to the month of February. Tourists can easily reach this destination because of its good connectivity through rail and road. Finding and booking hotels in Kanatal has always be a tiresome task. 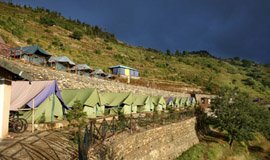 Getting the right choice of Kanatal hotels in terms of reasonable tariff, convenient location, amenities and facilities,staff service,views from the hotel and its rooms.These are some of the major points traveller looks into before booking the hotel. 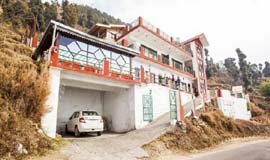 Allseasonsz.com offers fast & easy online booking of Kanatal hotels ,great availability,no reservation cost,special offers.Allseasonsz.com has introduced new PROS AND CONS review section of every hotel of the 15 best hotels in Kanatal. These are genral reveiews for comparing the Kanatal hotels at one go thanks to our team of local experts residing in Uttarakhand.Look beyond the tripadvisor reviews of Kanatal hotels,with Uttarakhand locals for booking the rooms at best prices guaranteed on room tariff, hotel packages.